THOMPSON, Conn., July 12, 2018	(Newswire.com) – ​​​​​​​​​Anthony Alfredo, a Connecticut native now living in Mooresville, North Carolina, will return to his New England roots when he straps into his FootingFirst, Oxford Energy, JDRF, MDM Motorsports Toyota No. 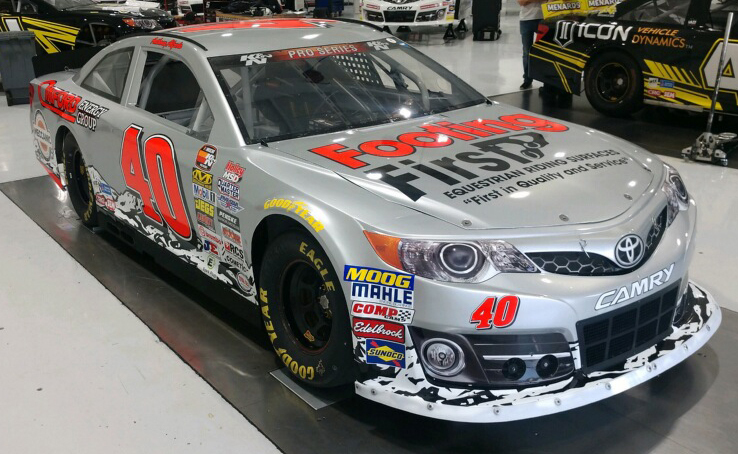 40 for the NASCAR K&N Pro Series East King Cadillac GMC Throwback 100 this Saturday, July 14 at Thompson Speedway Motorsports Park in Thompson, Connecticut. This event will be a slightly different type of homecoming for the UNC-Charlotte student, as he was born in Connecticut but has run almost all his races in the South. He has one win in the series this season and currently sits fourth in the championship standings. He would love nothing better than to get his second victory in front of his hometown crowd. “I am very excited to be racing at Thompson Speedway this weekend for a few reasons,” Alfredo said, flashing his easy smile. “First, it’s the closest to home I’ll have ever raced in my stock car racing career. Although I have not yet been to Thompson, it could be considered my ‘home track’ as we’ll have many family and friends coming out to support us. I am always looking forward to whatever race is next, but to be able to race in front of the hometown crowd will be the most meaningful for me this year, especially if I can park it in victory lane for all of them.”Anthony on becoming a NASCAR Next Driver: To be chosen to be part of it means that all the sacrifice that so many people have put into me to help me to get this far in racing is really beginning to pay off. I’m looking forward to the experience. The KING Cadillac GMC Throwback 100 takes place this Saturday, July 14 at Thompson Speedway Motorsports Park in Thompson, Ct. Tape-delayed coverage will take place on NBC Sports Network at a later date.